It’s lighter, longer and BMW has also been going on about a perfect 50:50 balance that it's managed with the new 2018 BMW X3 xDrive20d. But have they done enough to make it stand out from the competition? This is the third generation of the X3 that’s received a fair few changes to keep it relevant in the fight with its two other countrymen, the Audi Q5 and the Mercedes-Benz GLC as well as the rather stylish new Volvo XC60 that we really fell head over heels for. With the heavens finally opening up, the weather was ideal for some green laning and the timing of the 2018 BMW X3 xDrive20d arriving at our office for a road test was just perfect. So, after strapping in and sliding back the blind of that massive panoramic sunroof, we set off into the rain for a weekend of fun. On the surface, the changes are subtle. The kidney grills are now larger and the bumper has changed to a more aggressive mix of curves and air dams. The headlamps are all LED adaptive units and the grills are also the new ‘Active’ ones that open when the engine needs cooling and close for better aerodynamics when the engine is running cool. The silhouette hasn’t changed much but the wheelbase has increased by 54mm to help free up a little more space on the inside. It also gets new LED taillamps and twin-exhaust outlets on either side as compared to the single-sided twin pipes on the outgoing model. Overall, the X3 manages to look just a little more aggressive on the road. The interiors have now been matched with latest levels of luxury from BMW. So, like the new 5 and 7 Series, you now get a 10.25-inch touchscreen, 12.3-inch multifunction display for the driver, but no gesture controls, even in the top-spec Luxury Line. There’s some nice soft touch leather on the dash and the fit and finish of the buttons and controls are all top notch. You also get the fancy display key fob, but unlike with the 5 or the 7, you can’t move the X3 in or out of tight parking spaces remotely. Topping off a full list of features is wireless charging, rearview camera with park assist and a 16-speaker Harman Kardon audio system that supports Apple CarPlay. With that increase of 54mm in the wheelbase, BMW have managed to free up a little space in the car. There is plenty of legroom and headroom in the second row and this feeling of space is further enhanced with a massive sunroof that stretches over the heads of rear seat passengers as well. At 1410mm across, the rear bench is also quite wide, so there is plenty of shoulder room for two. Also, the rear seats can even recline a few degrees for added comfort. In a crunch, you could fit three in as well, but with the rear aircon vents and transmission tunnel intruding into people space, they’d need to be small in stature. The first thing that you notice as soon as you thumb the starter is how nice and quiet the cabin is. The engine note only really starts getting audible over 2000rpm and car horns, brakes screeching and the din of the city were quite nicely drowned out on our city drive. With the new 5-series and 7-series, we went really gaga about how well the suspension has been tuned for Indian roads, so we were quite excited to see how the X3 performed over the same conditions, only to end up a little disappointed. It’s certainly not all bad news though. With the adaptive dampers in the Luxury Line, you do have three modes for the suspension: sport, comfort and adaptive. In comfort mode, the X3 really does take the edge off bumps and even over some very rough stuff the cabin remains quite composed. But it’s not perfect. While it did absorb practically everything Pune’s roads threw at us, it does take time to settle back down and with the uneven nature of our roads there always seemed to be some side-to-side or up-and-down motion in the cabin at city speed. As speeds increased though, it managed to do a better job with the dampening and stayed more or less flat. So, after spoiling us with the brilliant setup in the 7 and 5 series, it’s BMW who’s to blame for the slight mark down the X3 gets. And while the ride quality in the X3 is comfortable, it’s not quite the polished setup that we know BMW is capable of delivering. Switching into sport mode quickens up shifts from the 8-speed gearbox and makes the throttle more responsive. And when you put your foot down… it goes! There’s plenty of punch from the 190PS, 400Nm 2.0-litre diesel but it’s all packed over 2000rpm. Below that though, it’s quite breathless and around town, you really are forced to switch to comfort mode where the gearbox-engine tune smooths out the power delivery. The steering is sharp and direct, and it likes corners too. BMW have managed a brilliant 50:50 weight distribution while also shedding 55 kilograms and you can be quite naughty with the X3 on a twisty road. There is just a hint of body roll, but heaps of grip from the 245 section bridgestone run flats that it runs on. So you can push it quite hard without any drama. The other thing that is really well tuned is the braking setup on the X3. And while the feel from the pedal is not the best, it needed the shortest distance to come to a halt among all SUVs we have tested till date. BMW have another oil burner in the 30d option available in other markets, and that would have really upped the excitement quotient in this sweet handling package. But there is also the new 30i that offers 252PS for just Rs 20,000 more than the asking price for this diesel and that’s the X3 that we are aching to get our hands on next. The X3 sports an impressive spec sheet that boasts of xDrive with variable torque, hill descent control and hill start assist, dynamic dampers and variable torque split at the rear wheels with automatic differential locks. Quite a mouthful and it does sound quite impressive. And the X3 didn't set a wheel out of line on our small weekend trip over some unpaved country lanes. But there is no dedicated off-road mode on the touch-sensitive drive mode button. So, while the X3 is more than capable of getting out of a tight spot, you don't want to go looking for trouble with this SUV. The new third generation of the X3 is now up to date with features, looks imposing and is fairly comfortable too. The interiors are plush and the rear bench is much more accommodating than before. The one thing that really makes it stand out from its German brethren and the pretender from Sweden is its sweet handling. And while the engine isn’t something to write home about, it does everything you ask of it and is efficient too. 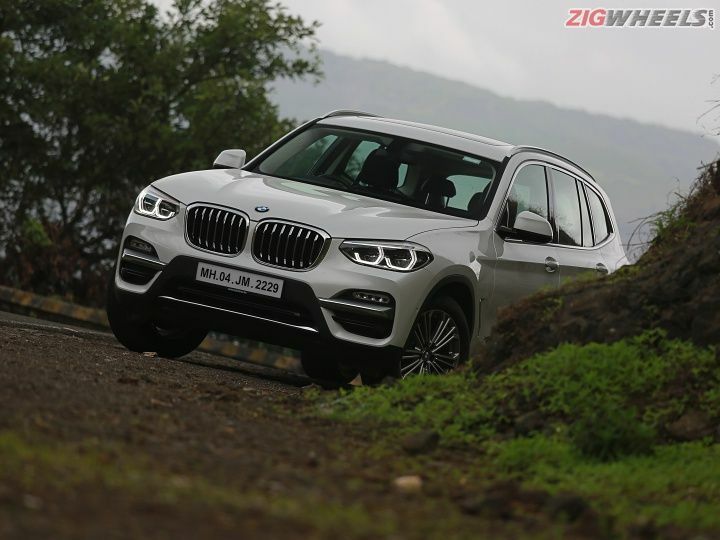 The X3 xDrive20d, therefore, is a pleasing balance of luxury, features and handling with the economies of a diesel burner that retails for Rs 56.7 lakh (ex-showroom Delhi). If you like a sharp handling package, but can’t see beyond the economies of the diesel burner, then look no further. But, if you want a complete package of handling and performance, you might want to check out the 30i as well. Share your experiences with X3? BMW X3 Now Available With A Petrol Motor!